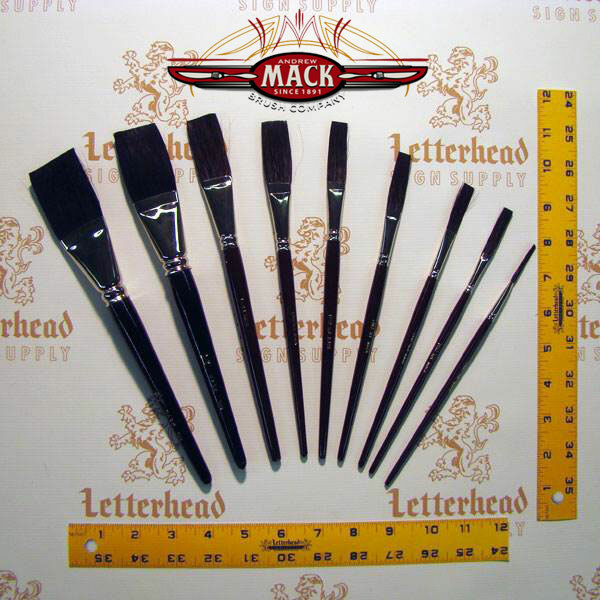 Buy Flat Lettering Brushes for Sale here, also known as Sign Painters Flats, are used for large areas, and to fill in Signs or Graphics. We have Truck lettering Flats and Billboard Sign Flats. 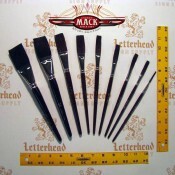 Flat Lettering Brushes are used frequently by Sign Painters, Pinstripers, Billboard Artists and Graphic Designers. 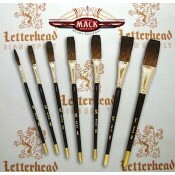 These Flat Lettering Brushes are normally used for larger lettering and production lettering. 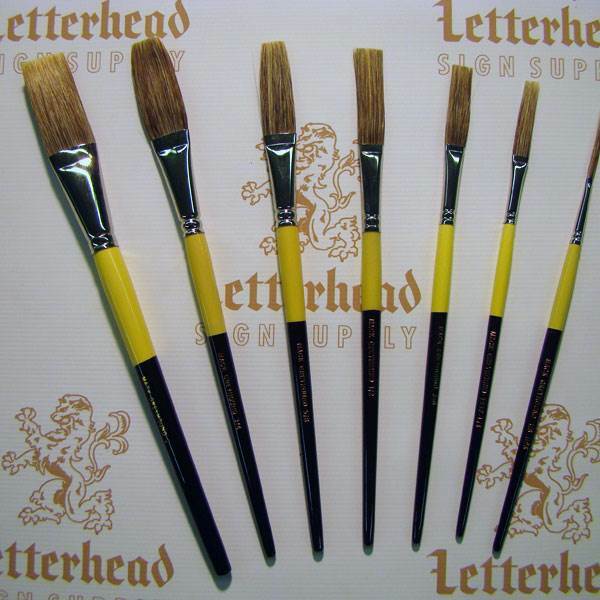 Flat Lettering Brushes can hold larger amounts of paint. We have natural hair Brown Flats and Grey Flats. They also work great as fill-in brushes and out-liners for large sign letters. 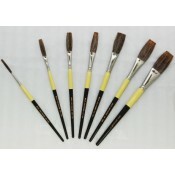 Brush selections BELOW!